First off, none of this is sponsored. I just wanted to share my skincare routine because I feel like I'm finally at a good point with it and maybe it will help someone else find just the right combo of products to get to a good place with theirs. Just as a reference (because everyone's skin differs), I thought I'd give you the background and general texture and traits of my skin. I have always leaned toward the oily side of the spectrum. As I'm getting older, it's falling more between oily and normal, but I'm still on the oily spectrum for sure. Throughout puberty, I'd get an occasional zit or small breakout, but it was always manageable. When I hit seventeen, though, acne hit me. It was bad, but not what I'd call cystic so much as just blotchy. T-zone, cheeks, typical breakouts, all over my face. This is when Proactiv became a big seller, and their system kept my bad breakouts mostly at bay until I was about twenty-one or twenty-two. Just some under-eye concealer and eye make-up. Those were the days! As I entered my early twenties, I really struggled to find the right method for keeping my acne under control, and nothing I used during that time seemed to help much at all. You know how you sometimes switch face washes and your skin clears up for maybe a week, and then goes back to being zitty? That's what my early twenties entailed. It was extremely annoying and embarrassing, and I was also just learning how to use foundation (up until then I got away with nothing but concealer - I wish I had appreciated that more haha!). During our engagement, my skin was at an all time low. It was absolutely covered in zits and small bumps and I was incredibly self conscious. I went to a dermatologist, and whatever he prescribed did not sit well with me. I got terrible flu-like symptoms and had trouble breathing. Living on my own, I couldn't get to an ER, and sometimes I still wonder how I managed during those horrible 24 hours. I did, however, continue using the prescription strength benzoyl peroxide cream and would slather it on twice a day. This dried my skin out to a crisp and I'll never forget the day Tom noticed how flaky and disgusting my skin had gotten while we walked around a Target one evening (haha so funny). I didn't catch a break until Tom and I were married and I was on the pill for a while. Not to be TMI or get into that topic, I just want to express how grateful I am for what it did for my skin. It was during this time I really learned the value of moisturizing, because for once I didn't have to tend to my breakouts with drying agents. From that time forward, I've been slathering on moisturizer like there's no tomorrow, and I realize now, how incredibly important and revitalizing it is. Those stupid zits creams made my oily skin, dry at the same time which gave me combo skin. I realize now the serious mistake I was making, and even though EVERYTHING I read told me to moisturize to even out my skin, I couldn't bring myself to do it. 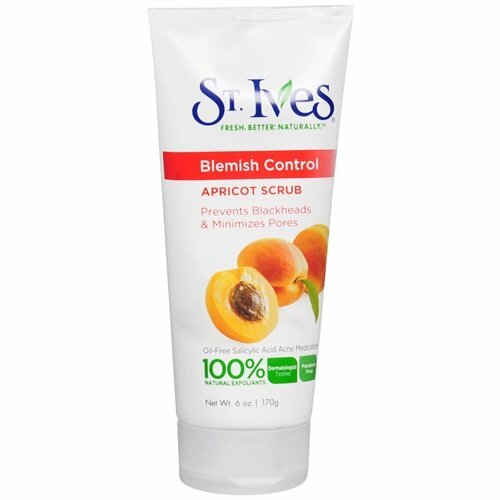 I thought it would make my skin MORE oily, when in fact that dang BP was making my oily skin oilier and dryer and in turn caused me to break out to a terrible extreme. Moisture (and even oily skin) is so beneficial (I think) to your skin's elasticity and longevity and will keep your skin youthful and supple, while drying it out and using something as harsh as benzoyl peroxide will only age you faster. I'm so glad I've realized this. Now, to get into my current skincare routine. Everyone's routine changes a little here and there, and so now and again I may use a different night time face wash, but I always do these same steps. 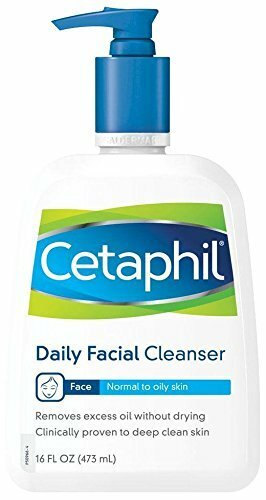 In the shower, I wash my face with Cetaphil (daily facial cleanser) and every other day I use the the Target or name brand Apricot scrub for acne prone skin. 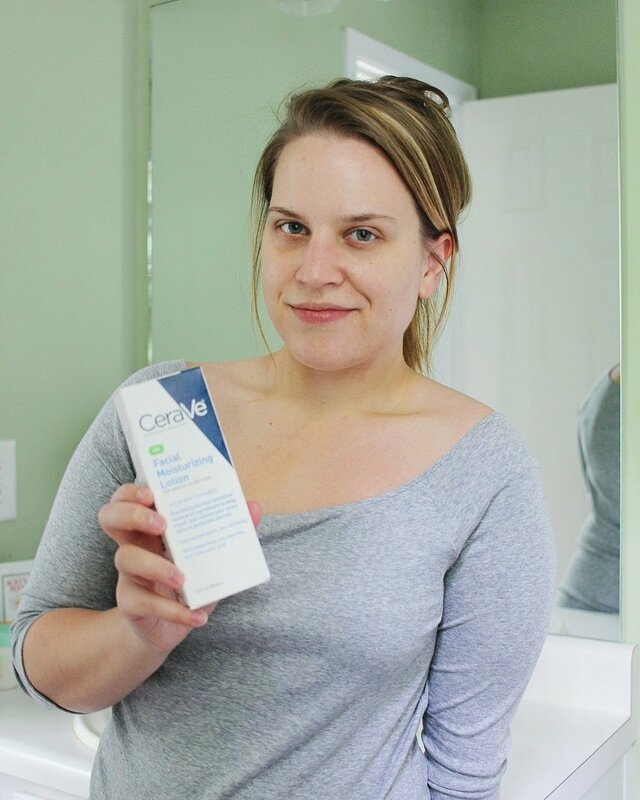 As soon as I dry off, I use three pumps of CeraVe PM (the AM has SPF and though that's great, it makes my skin extremely oily). 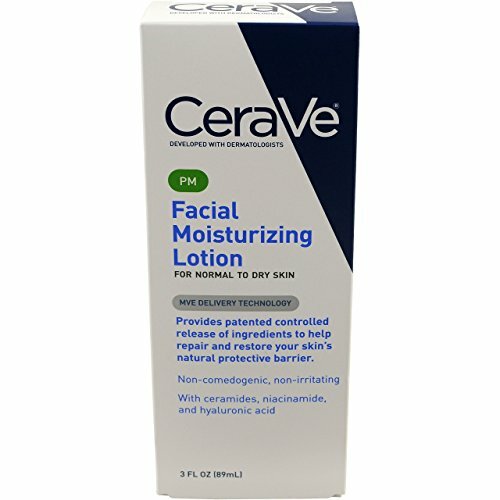 A friend showed me this lotion in college and even though I didn't use it then like I should have, it came in very handy when I did start using moisturizer. It's very light and once it soaks in, you hardly know you put lotion on at all - but I always notice when I don't! The last two photos in this set I'm wearing a thin layer of foundation and some concealer. You should know that I'm insane about washing my face before bed. I don't know why it's always been this way, but it has. Even on my wildest nights out on the town in college, I NEVER went to bed without washing my face! It's just a habitual thing for me - I can't sleep in make-up. Lately I've been switching between Pond's Cold Cream (the original) and normal face wash every few days. When using Pond's (which is what my grandmother swore by and she had beautiful skin) I simply take a generous amount to my finger tips and massage it all throughout my face - makeup and all. When I've loosened my makeup (mascara too), I wet a washcloth with hot water, wring it out, and gently wipe it over my face making sure to remove all the most heavily made-up areas until my face looks and feels clean. Then I take another small dab of Pond's and use it as moisturizer. 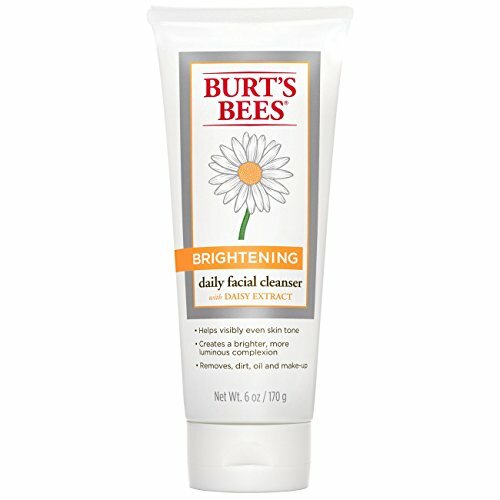 When using face wash (pictured is Burt's Bees Skin Brightening - which I love right now!) I just wash my face like normal, dab dry with a clean hand towel, and use four pumps of CeraVe PM. The last two photos in this set I'm wearing a thin layer of foundation and some concealer (and Hondo is photo-bombing which is what made me laugh).